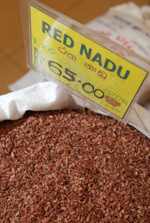 Amidst shortages in local rice production, Sri Lanka has cut an import tax on rice, which has in turn increased domestic rice prices, pushing up food costs of the poor. This tax cut has also reportedly resulted in large millers controlling the market and earning excess profits. A special commodity levy on imported rice has been reduced to Rs. 5 a kilo of raw nadu and samba from 27 January onwards from the Rs. 15 a kilo that was effective from 17 January. Sri Lanka had been taxing all types of imported rice at 30 percent (or Rs. 50 a kilo) up to 2016. In addition to this phenomenon that is directly affecting farmers’ earnings, the island’s Maha paddy crop is expected to be down by around two million tons this year, following a drought in 2016.